This is my first post on Applefritter. 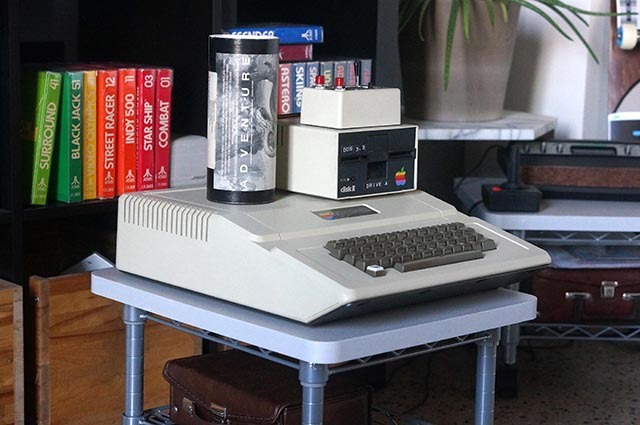 I've used many enjoyable hours reviewing all the excellent posts on Applefritter, as well as the extremely helpful trouble shoot guide at http://www.appleii-box.de. 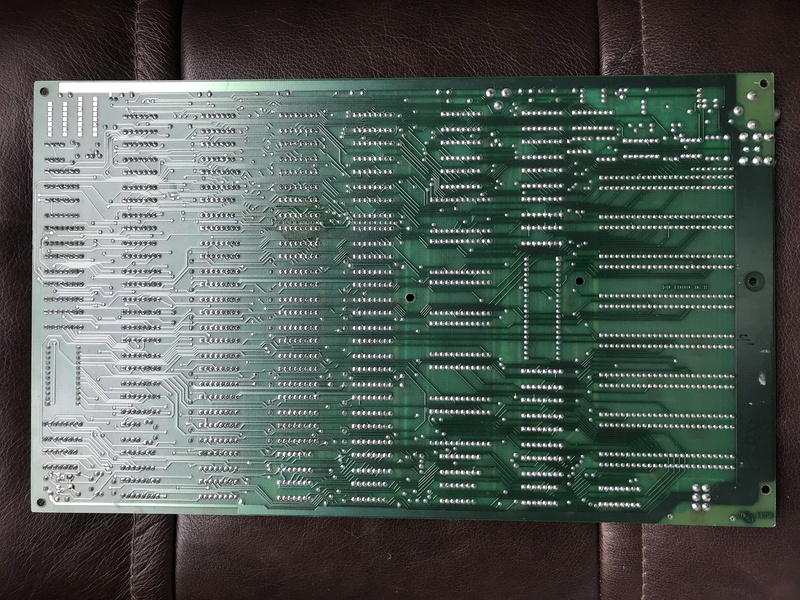 My rev 4 apple ii that came from the UK has display problems! 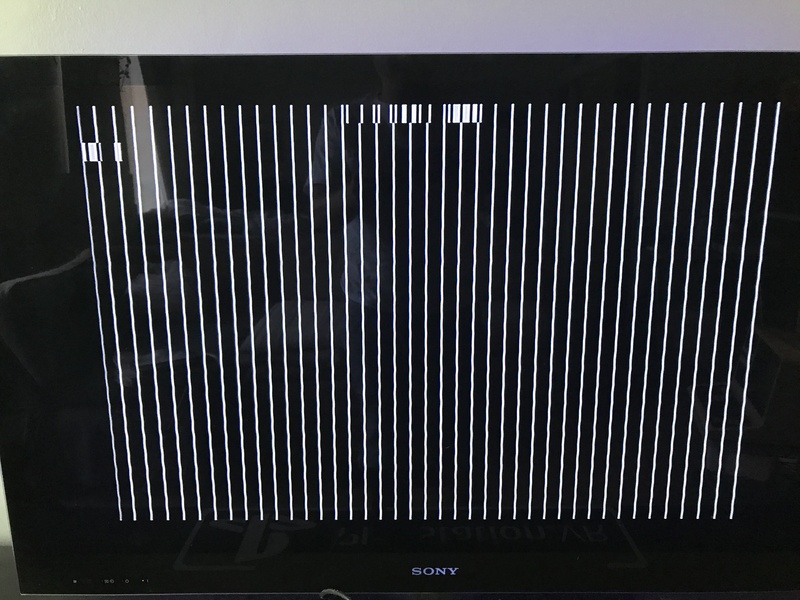 Everything seems fine for the most part--system beeps, boots, keyboard is responsive, etc--EXCEPT the video is scrambled with vertical lines. See attached photos. No matter what I change in steps 3 and 4 I get the same video problem. Do you get a "Beep" when powering on? If no, have you swapped out the D0 thru F8 ROMS with known good ones? Does the video mode change correctly when you type GR, HGR or HGR2? If it doesnt start looking around the video mode multiplexor (A9) and the video mode select latch (A10). If graphic modes seem to work then look around the character generator ROM. Got it all, after reading a post from a fellow member about reseating the keyboard ROM. 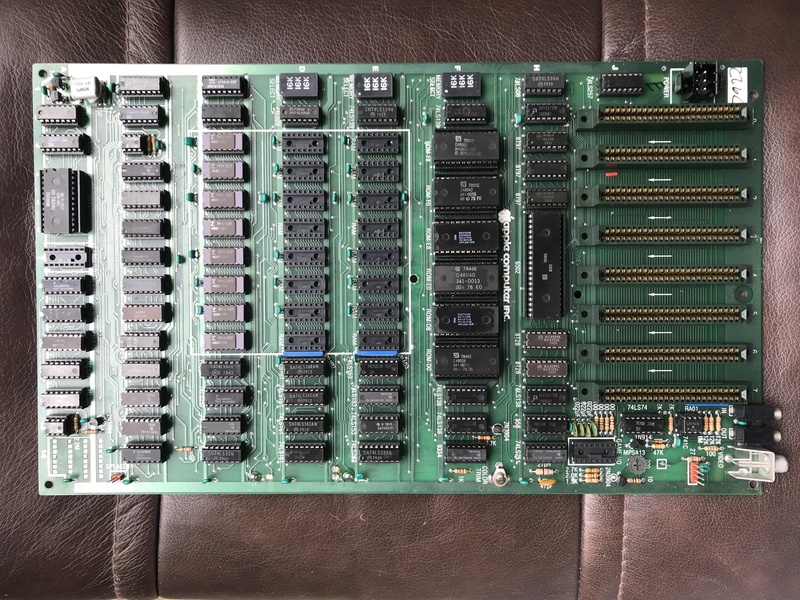 For me it was the A 10 chip. Another apple ii on the grid. Hope this thread helps others in the future.